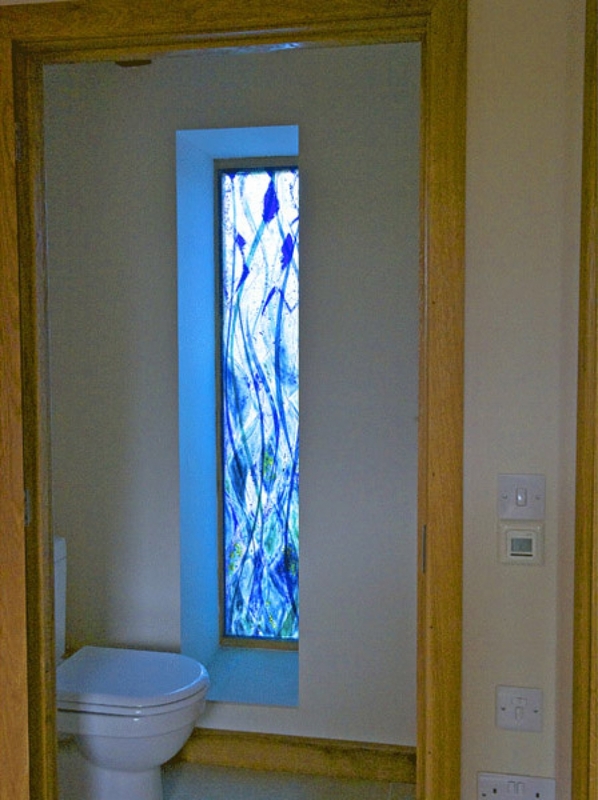 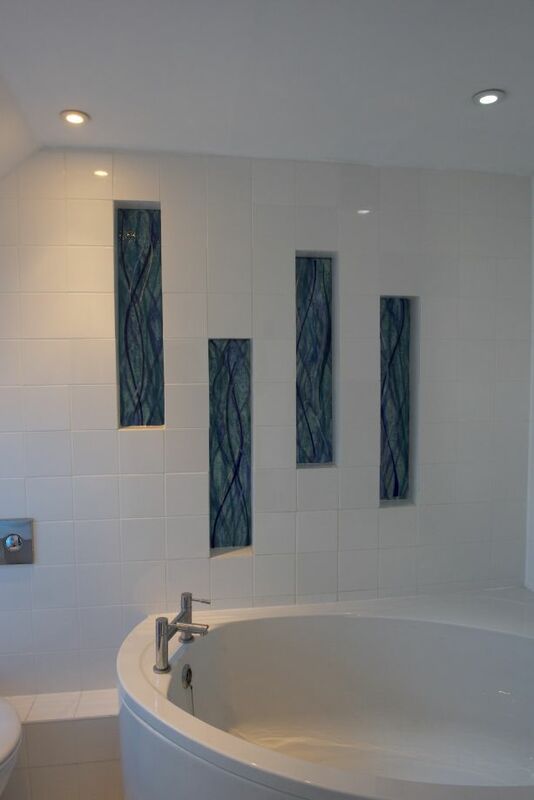 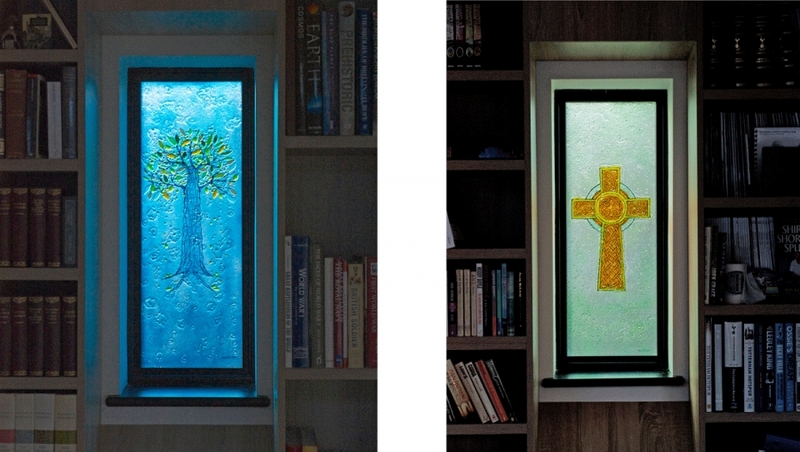 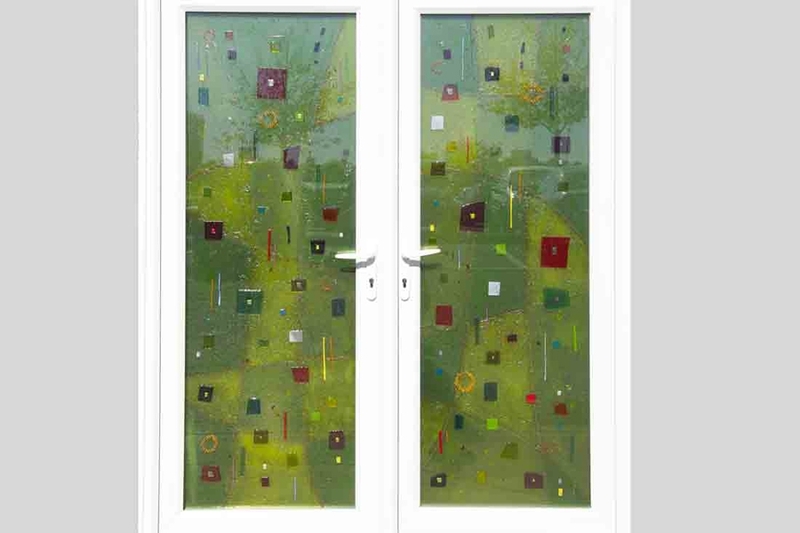 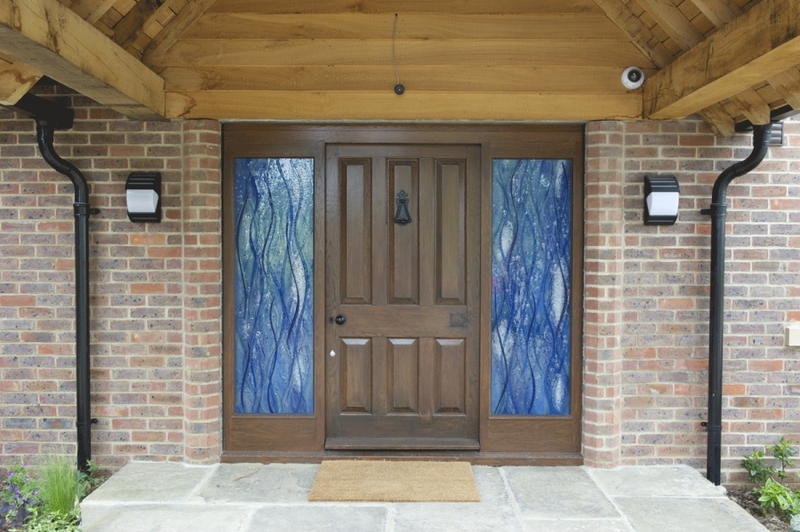 These fused glass panels have been encapsulated in double glazed units making the doors a focal point. 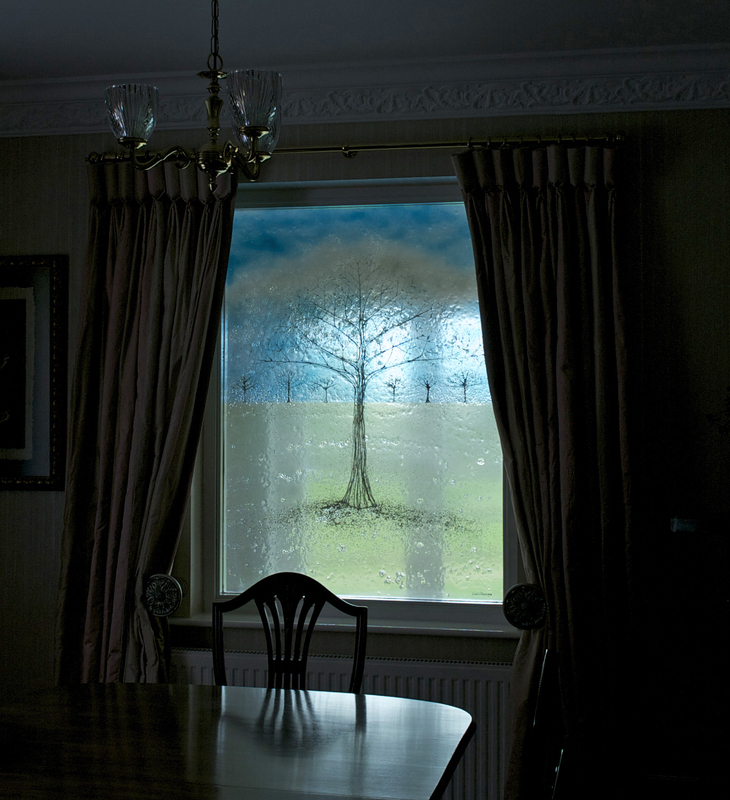 They are obscure yet let a considerable amount of life in the room. 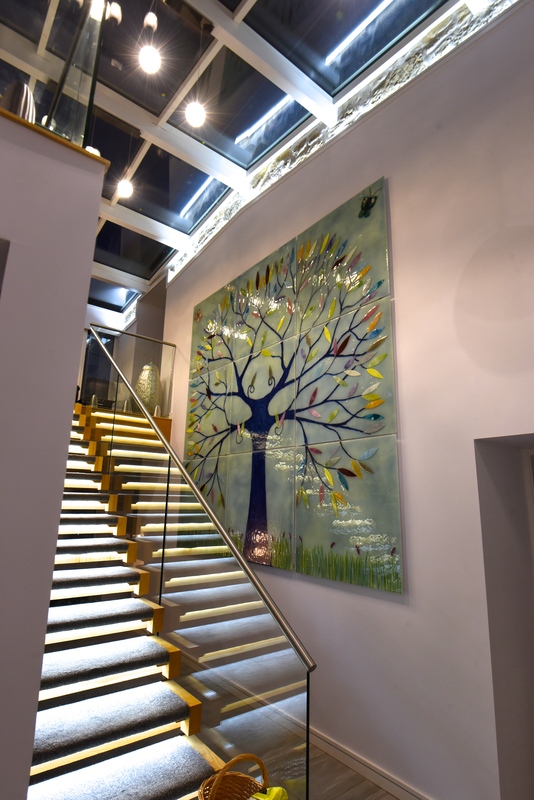 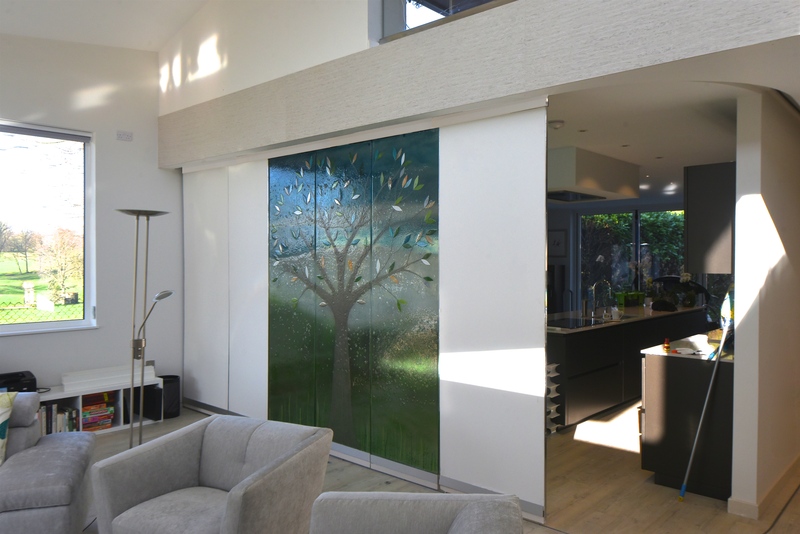 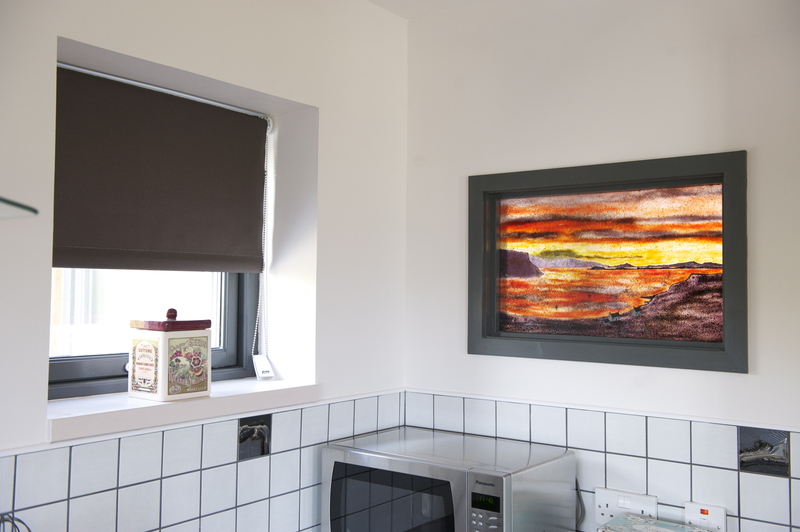 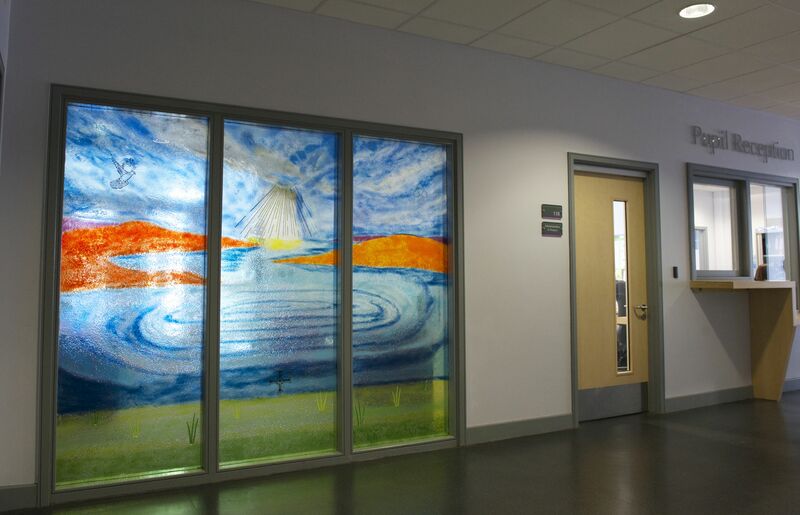 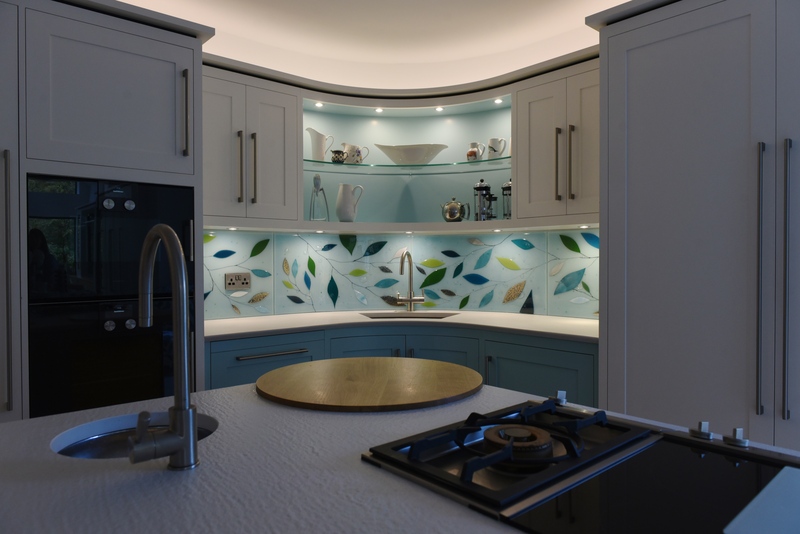 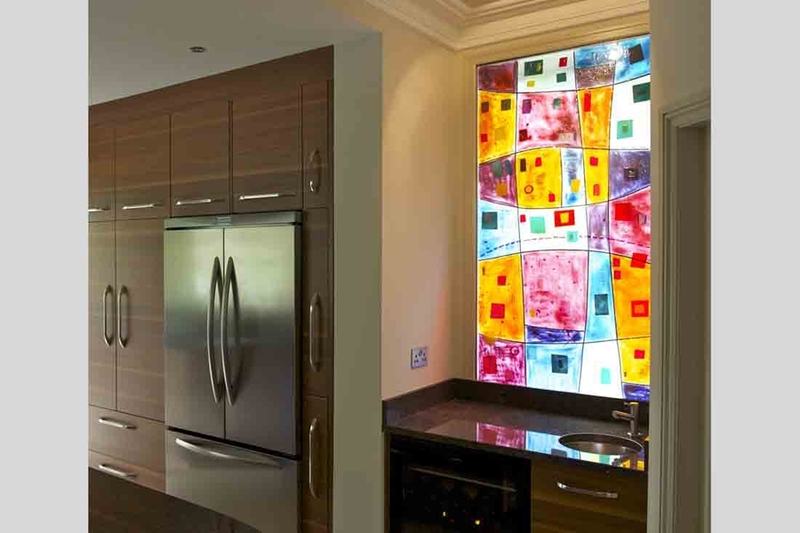 Our hand made transparent glass art designs can be commissioned to any size, colour and design and can be fitted as part of a doubled glazed unit or in front of an existing unit.